Home / Opinions / Column: Did Nike Really Do It? Nike's 30th Anniversary sports Colin Kaepernick for their "Just Do It" campaign. Column: Did Nike Really Do It? Yeah, Nike is doin’ it. In fact, for their 30th anniversary “Just Do It campaign,” Nike did it. 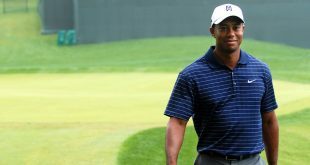 The sports apparel powerhouse has a reputation for echoing the voices of its athletes, but they went further than ever before with their latest campaign. Reactions to the campaign have been mixed. Unhappy customers have made videos destroying their Nike apparel, while supportive customers have been posting pictures of new Nike purchases. These conflicting reactions were primarily caused by an ad for the campaign released over Labor Day weekend. The ad features a black and white picture of Colin Kaepernick and reads: “Believe in something, even if it means sacrificing everything.“ Kaepernick is a former NFL quarterback who received backlash in 2016 when he began a silent protest by kneeling during the national anthem before games to bring awareness to police brutality and oppression against people of color. The sacrifice Kaepernick alludes to in the ad is of his career, which ended not long after the beginning of his protest. In 2017, Kaepernick filed a grievance against the NFL, stating the NFL and its owners had colluded to keep him out of the league. Nike followed-up the ad featuring with a video narrated by Kaepernick on Wednesday. Reactions to the video were not nearly as extreme as reactions to the picture depicting only Kaepernick. Reactions to the ad featured tweets like this from Tammy Brockman, @gogators89. “Nike you had a decent commercial going until Kaepernick became your face…” Brockman tweeted. Earlier this year, the NFL extended Nike’s contract as the official brand of uniforms and apparel throughout 2028. 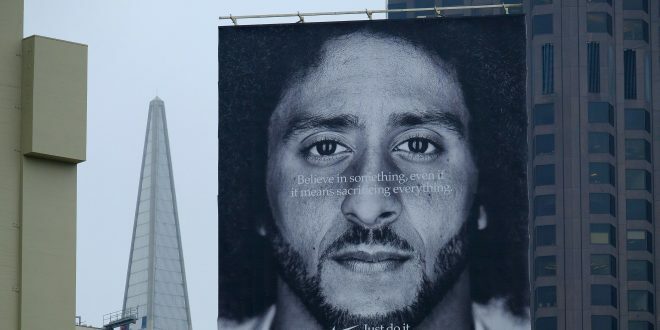 By featuring Kaepernick in their campaign after signing to be partners with the NFL for the next 10 years, Nike made it clear who they are and how they feel. They are a brand that wants to move forward with the culture. Nike endorses numerous athletes who use their platforms to advocate social, racial and gender equality, such as Lebron James, who pushes for some of the same cultural shifts as Kaepernick. In the future, when such a shift has taken place, Nike wants to be hailed as the company that did it, which is why they are doin’ it now. Written by Justin Eady, Staff Writer. Photo Courtesy of Baxter Bulletin.